Today I watched a fabulous new movie called Finding Joe which looks at the phases of what Joseph Campbell dubbed The Hero’s Journey. I love the synchronicity because I was recently talking with a client about how she is on her own Hero’s Journey and on a call last week with my coach we talked about how I’ve been slaying my own dragons. The movie is playing in select theaters right now but you check out the inspiring trailer below. Finding Joe – Trailer V.7 from pat solomon on Vimeo. 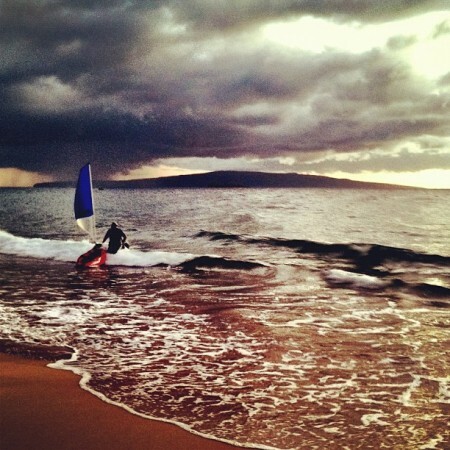 Photo taken with my iPhone on Wailea Beach during my trip to Maui in September. I can’t believe that you just put up a post about the Hero’s Journey! After being back-burnered interested in it for a few years, I have finally just recently given myself over to really immersing myself in the learning and understanding of the Journey. Thank you for the head’s up on this movie! I am a HUGE Joseph Campbell fan and I’m hoping it will come to my movie theater soon! Next post: Art Every Day Month 2011 Begins!